Developed in the USA and tested on the toughest tracks in the world, Maxima Racing Oils are proven to increased horsepower, prolong engine life and offer unsurpassed engine cleanliness. 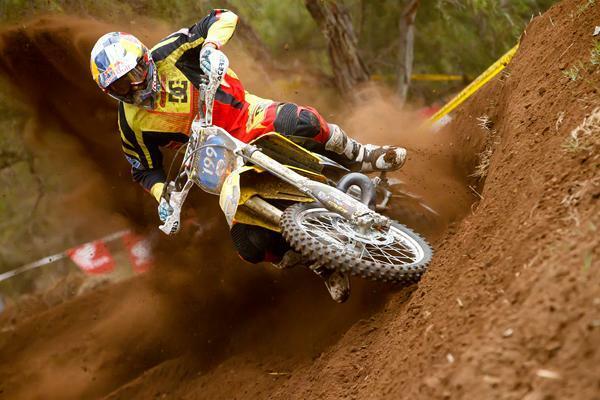 Maxima has been committed to MX & SX for over 30 years and is used by more factory teams, engine builders and racers. Know you’re running the best with championship winning products. Maxima – Race Grade Formulas. The craziness has spilled over off the track in this year’s Monster Energy Supercross tour, with James Stewart’s recent arrest in Florida adding yet another element of drama. No one expected something like this to crop up during the season, but Stewart is far from alone in creating unexpected circumstances. We’ve compiled a list of strange off-track incidents and listed them here. 10. Dean Wilson is stopped at the Canadian border as he tried to return to the U.S. from Canada last year at this time for not having his papers in order. He misses the next round of the AMA Supercross tour while waiting for clearance to come back into the U.S.A.
9. Shortly after winning the Tampa Supercross in 1994 and ending Jeremy McGrath's perfect season to that point, Mike Craig has to pull out of the Gatorback National after allegedly tripping over his motocross boots on the floor of his hotel room and suffering a knee injury. 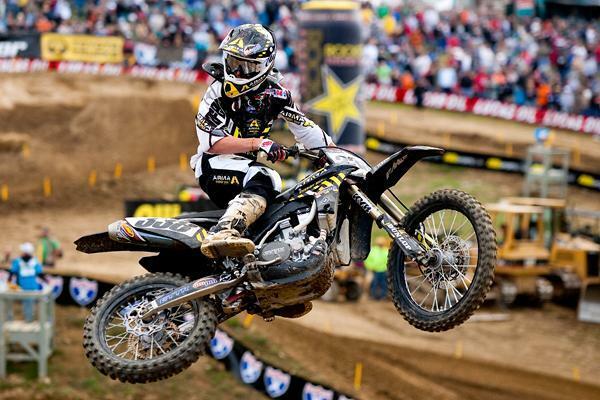 Thus began a downward spiral for Craig that would result in his dismissal from Team Yamaha. Pastrana and his mom Debbie shared some very inner thoughts with talk show host Montel Williams. 8. Travis Pastrana and his mom Debbie tells morning talk show host Montel Williams that he believes in ghosts, to which Montel brings out a paranormal expert who explains that the pain in Pastrana's hip is not from the fractured pelvis he suffered in a freestyle event but rather from a stillborn twin that is still inside him, attempting to get out. 6. The Attack MX "novice" race and its $75,000 pick-up truck prize is won by an accomplished British rider (far from a novice) riding under an assumed name. They track the truck down halfway across the country and get it back—with a few extra miles on it. 5. Jason Lawrence is arrested at Red Bud for getting into a fight with a fan in the camping area well after midnight Friday and ends up spending the night at St. Joseph's County Jail. Later Lawrence would go to jail even longer this time—after getting into a fight with a friend and taking a bite out of his ear. Lawrence also rolled a rental car at Freestone in Texas…maybe we should just make a list with 10 Jason Lawrence moments? J-Law has seen his share of struggles on and off the track. 3. The 2002 Motocross des Nations is canceled after the Indians who own the land that Competition Park sits upon decide to padlock the front gate and call the whole thing off exactly eight days before the race. There was even some gunfire on the reservation, enough to give anyone, well, reservations. 1. James Stewart on Monday night on State Road 417 in Florida.